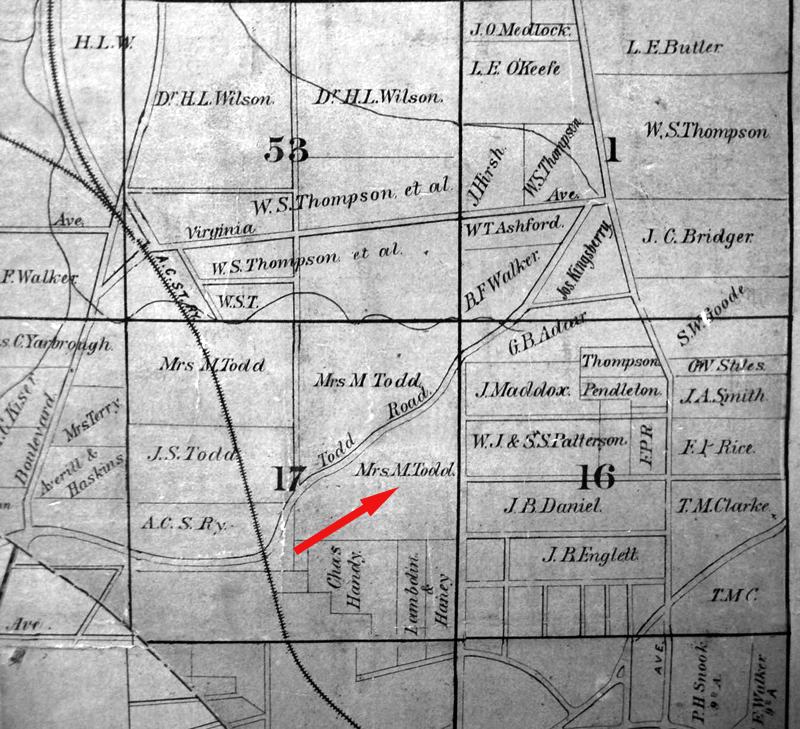 This is the third of four articles about early Atlanta Pioneers Richard and Martha Todd, their family, and remnant traces of their early presence in the Atlanta area. The first article is about the Todd Homestead, and the second article is about the Todd Cemetery, and the fourth is about the Burial Site of Patience Elizabeth (Todd) Armistead. 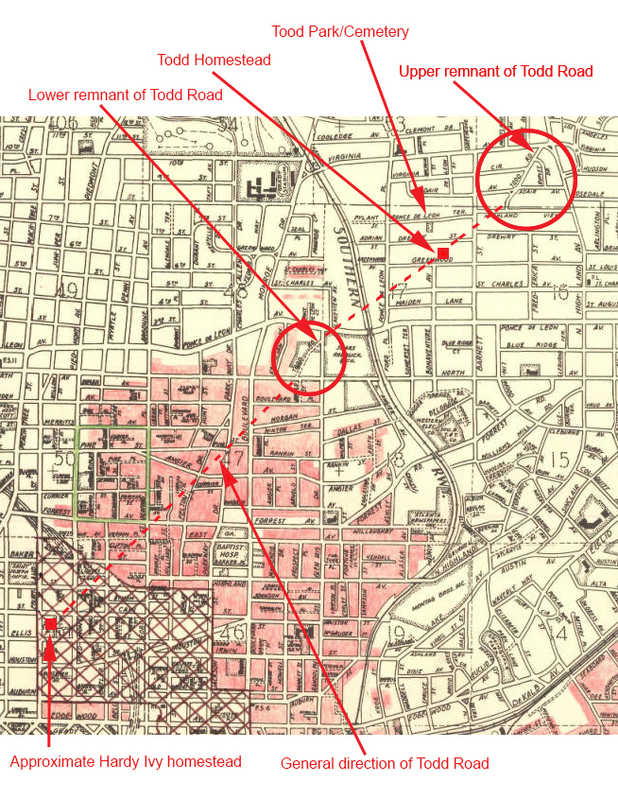 If you look at a map of the Virginia-Highland area, it is plain to see that it is a planned development with streets laid out mostly in even grids. 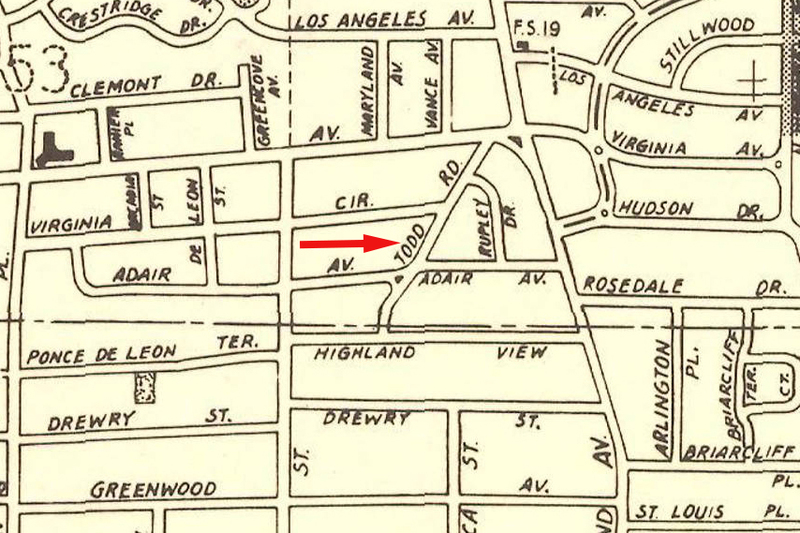 Near the main intersection of Virginia and Highland Avenues, however, a street called Todd Road cuts at an odd angle for a few blocks across the grid and connects Highland View Ave. to Virginia Ave. 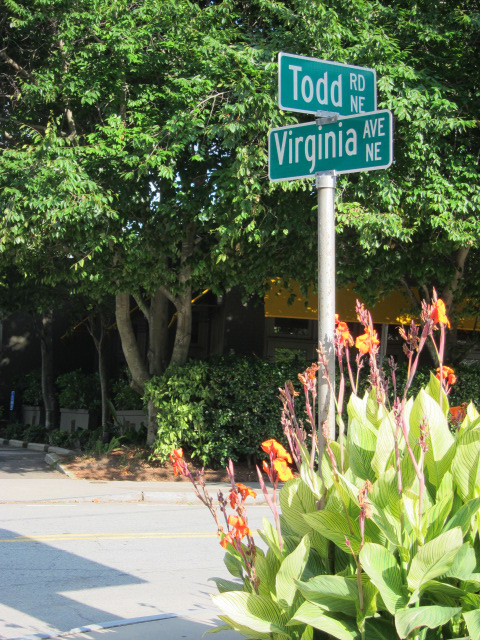 The odd angle of Todd Road is because it’s a remnant of an old wagon trail that used to lead to the Todd home site, making it one of the oldest streets in the Atlanta area. This old Todd Road is shown on Civil War era maps of that region. Before Georgia had roads, it was laced with Indian trails or paths. These trails served the needs of Georgia’s native populations by connecting their villages with one another and allowing them to travel great distances in quest of game, fish, shellfish, and pearls. Indian trails were used extensively by all travelers when Indians occupied land in Georgia, and it is almost certain that early white pioneers who moved in after the Indians used the same trails. 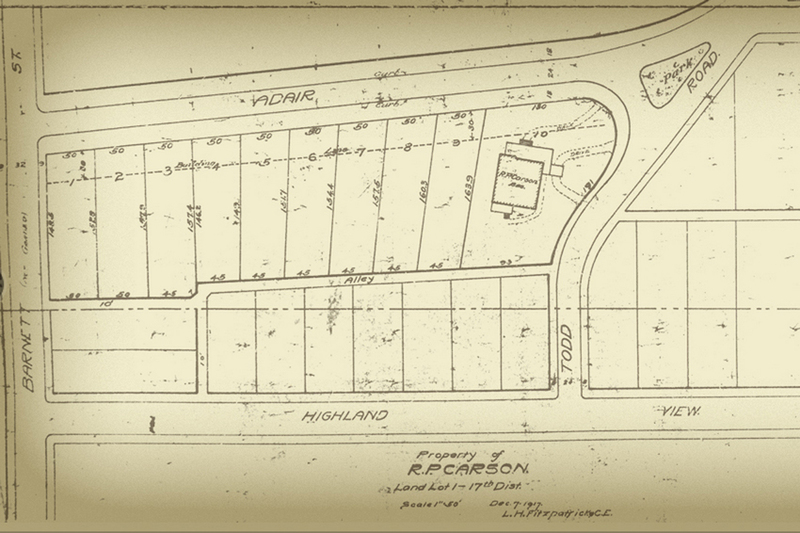 As the following plan shows, in 1917 the path of the upper segment of Todd Road was changed so it would intersect Highland View Ave. at a right angle, for a better traffic pattern and to create a better layout for the residential lots that bordered it. 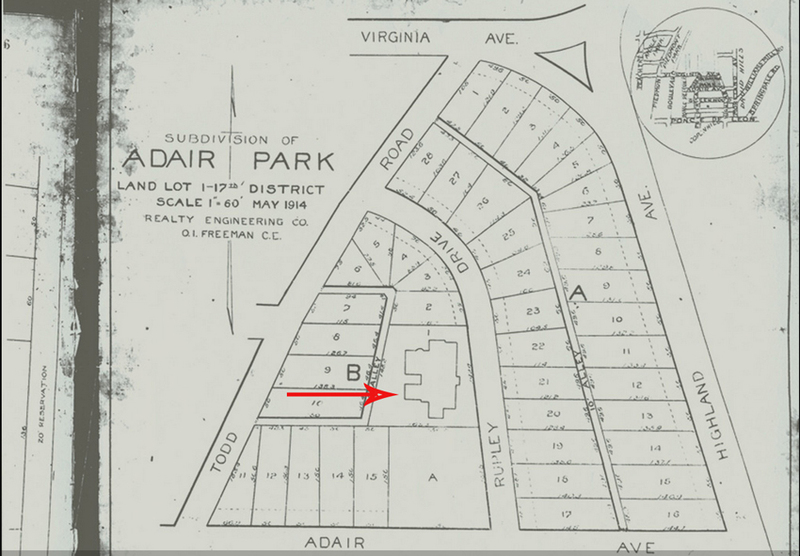 Today, a satellite view shows the construction pattern that was defined by the old Todd Road, possibly because it was a defined as a border in old property deeds. 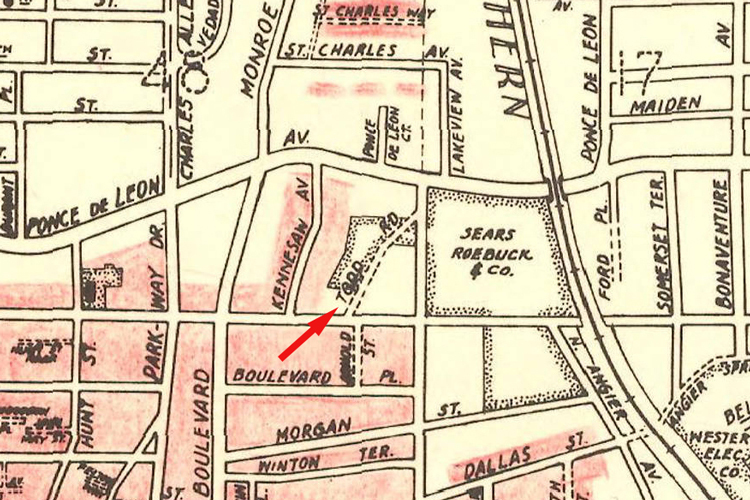 The following 1917 map shows this area also subdivided for further residential development. 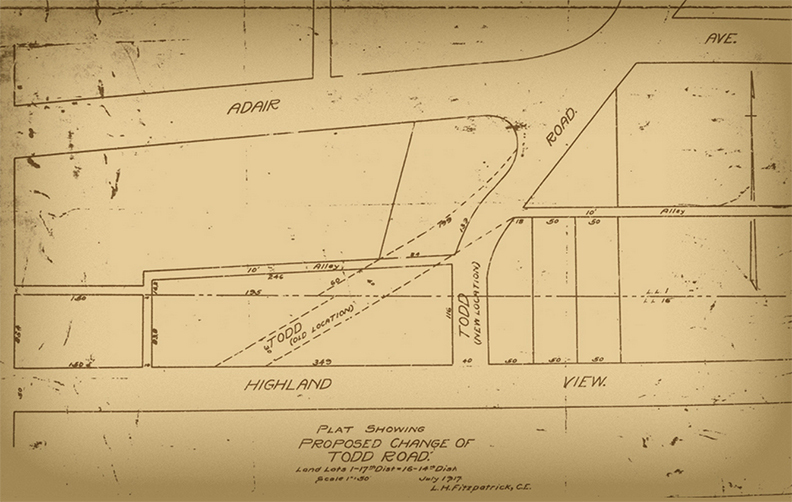 The modified intersection of Todd Road and Highland View Ave. is shown as complete (the plan for this is shown above,) and the small park in the upper right-hand corner of the plan is still there today. 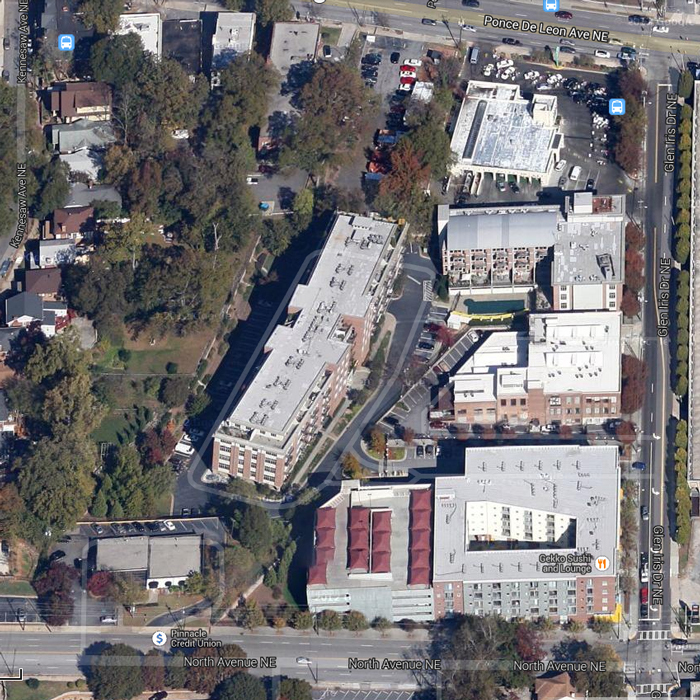 I actually know about Todd Rd behind the Glen Iris lofts but didn’t know whole story. Thanks. 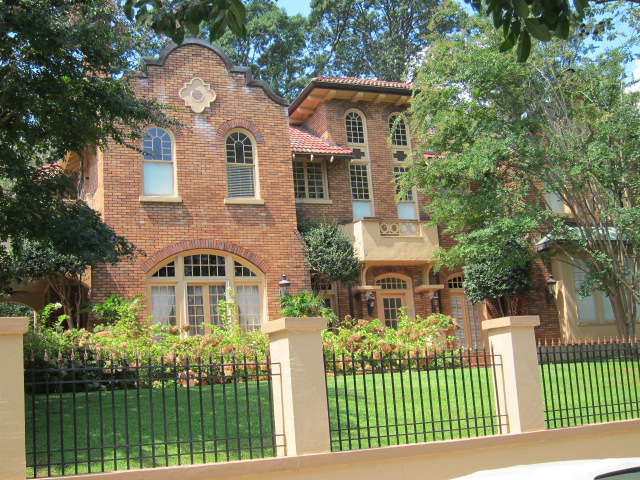 The street is Highland View, NE (no “Avenue”). 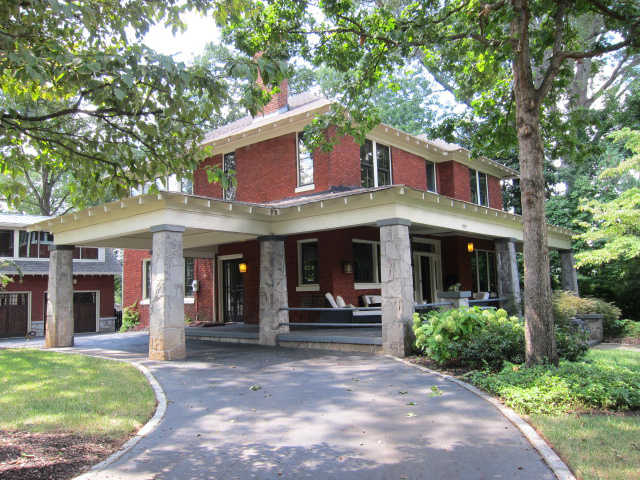 We love Todd Road!